Here is an easy and tasty holiday-inspired pumpkin recipe. Truthfully, I am not a huge fan of pumpkin treats. I kind of think they're overrated. Gasp! But this, my friends, is delicious and completely debunks my doubts on pumpkin recipes. 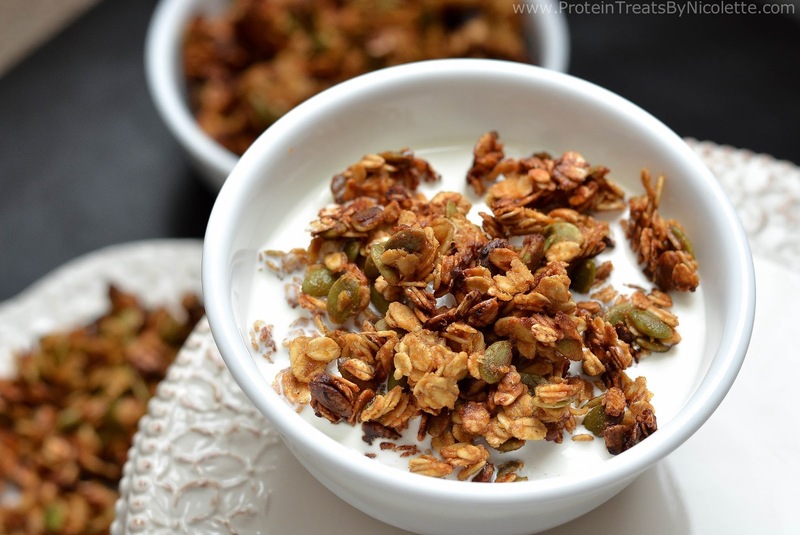 This granola is incredibly versatile. 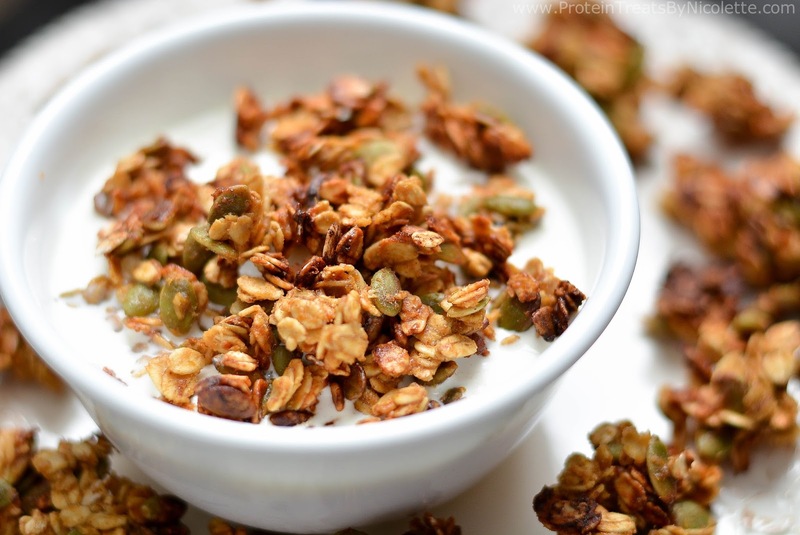 Enjoy it as a cereal, have some with your favorite yogurt, sprinkle some on a salad, or just eat it by itself. It made my entire house smell like a pumpkin spice candle too, which I ain't mad about. Protein powder free and vegan options available in the notes section. 1. Preheat oven to 325F. Line a sheet pan with parchment paper and coat with non-stick spray. 2. 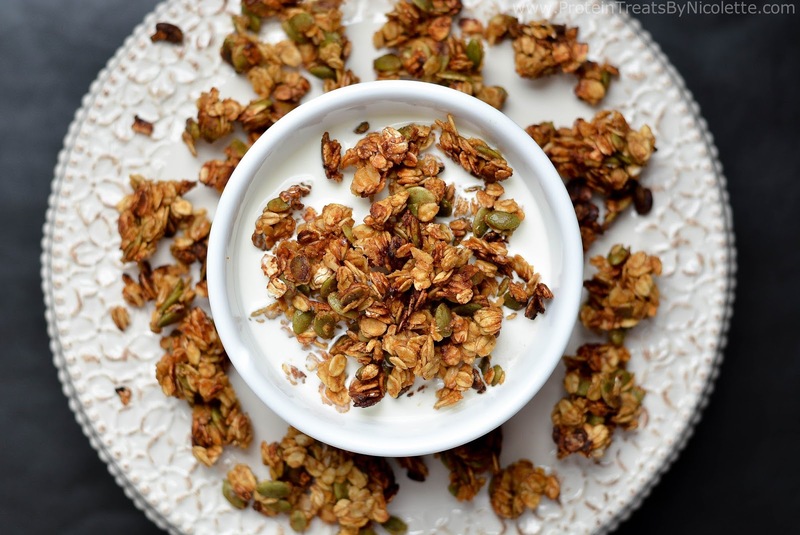 Place oats, seeds, pumpkin spice, cinnamon, and salt in a large bowl. Stir to combine. 3. Place remainder of the ingredients (except for the protein powder) in a separate, microwave safe, bowl and stir together. Heat mixture for about 30 seconds. Stir and heat for an additional 30 seconds. 4. Stir the protein powder into the liquid mixture until mixture is smooth. 5. 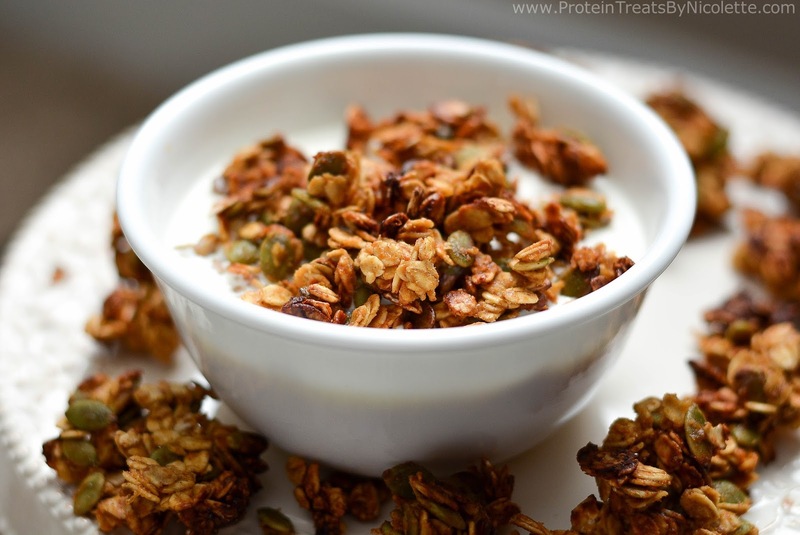 Pour liquid mixture over the oat mixture and stir, making sure everything is coated evenly. 6. Evenly spread granola mix onto sheet pan and bake in the oven for 40-44 minutes, stirring two times during the baking step. 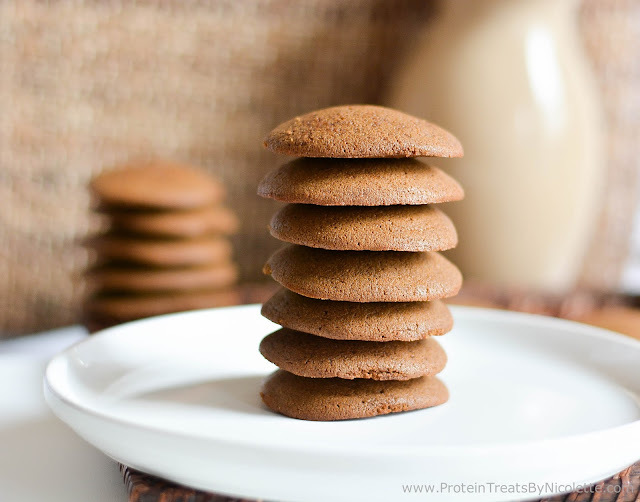 * Protein Powder Free Option: substitute protein powder with 1/4 cup powdered sugar or coconut sugar. * Vegan Option: choose a vegan vanilla protein powder.